Do You Have an Innovative Strategy? After a very long (10 days+) break from blogging, we are back on the job for the New Year today. The time away was refreshing and helped to restore focus. One of the reasons I began writing this blog last year was to develop a discipline for getting observations about small business management and strategy out of my head and into a “written” format. At some point in 2013, we will attempt to cull through last year’s blog posts, sort and organize them, and format all of the content into a cohesive story that should make a good book. It has been over 20 years since I published my last book and it will be fun to be in print again. Back to the matters of management and strategy…I’d like to run through a few scenarios I’ve encountered with clients recently in an effort to highlight some of the ways business owners get “stuck” in their approach. One client is in the midst of a family business transition–none of which are what one would call a “piece of cake.” As with any business worth laboring over, this one has experienced enough success in its history that all parties think it has enduring value. All parties would be right–and wrong! Business valuations derive enhanced magnitude from observed plans for managing risk. The risk of the owner getting hit by a bus is, for instance, substantial. With no business continuity plan for such a horrible occurrence, the company that has taken years to build can be undone in a very short amount of time. Insurance is seen as a way to mitigate the impact of such an event on the financial performance of a business and its stakeholders. However, no amount of insurance can replace institutional knowledge. Most companies are operated based on lessons learned the hard way. When the person who remembers all the lessons is no longer around, others must climb the same painful learning curve and waste precious resources in the process. Taking the time to document what you have learned and how you apply that knowledge in daily management makes your company worth way more money–even if you never plan to sell it! Another client is a professional services firm that is struggling with the industry standard of billing fees on an hourly basis and all the timekeeping and dysfunction associated with this antiquated practice. In addition to the record keeping requirements, there are collection processes that are time consuming, result in write-downs, and become demoralizing. What we are implementing, then, is a change in the way business is done. We will begin to charge clients a retainer and a success fee. The retainer is some minor amount that basically allows this specialized practice to recoup some monies for overhead obligations while the team works on client issues. It is meant to encourage more calls from clients to discuss everyday items so that we become an extension of their management and leadership teams. The success fee is structured up front to be awarded to us for doing a better than average job. We work with clients when they are prospects to identify how success will be measured before an engagement begins. we put the feedback responsibility in the hands of the client, and adjust our final payouts based on results. These two examples illustrate how matters of strategy can be brought into the regular operations of any business. In every business we’ve encountered, there are things that are overlooked or left un-addressed because they are accepted rather than challenged. What are those things in your business that need to be tackled in 2013? How will you tackle them? Small businesses are the backbone of the U.S. economy. This is a statement that is tossed out for public consumption on a fairly regular basis. What data backs it up? What might it mean for job creation and other key indicators of economic health that matter to the general population? In the November 2012 Business Dynamics Statistics monthly report from the Census Bureau, it was noted that hiring and job creation in small businesses (19 employees or less) with two years or less of operations was stronger than in larger companies that had been around longer. While older firms only hire 25-33% of new employees for newly created jobs, young firms average about two in five (40%)! A substantial fraction of the job creation for young firms is due to the job creation that occurs in the quarter of starting up. However, there is substantial subsequent job creation as well as job destruction in the succeeding quarters in the first two years. The overall net job creation (the difference between job creation and destruction) is much higher for young firms than for older firms. The other area in which startups excel is in worker churning (hiring in excess of job creation and the separations in excess of job destruction.) Job creation measures the employment gains from the expansion of existing establishments and the creation of new establishments. Job destruction measures the employment losses from contracting and closing establishments. 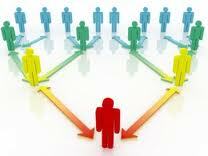 The Department of Labor maintains that churning helps the matching of workers to jobs. Hiring and separation rates at young firms are seen as being unusually high. There is also a trend of a marked improvement in hiring and job creation in young firms since 2008 in comparison to established firms. The report, entitled “Job Creation, Worker Churning, and Wages at Young Businesses,” draws its conclusions from the U.S. Census Bureau’s Quarterly Workforce Indicators, which use federal and state administrative data on employers and employees combined with core Census Bureau data. On a less rosy note for employees in small companies, the study also showed that their earnings per worker are lower than at more mature firms. Since the wage premium for workers who choose to work for large companies has persisted, earnings growth–even during the most recent recession–is largely attributable to wages paid by larger companies. Some of this decline is accounted for by changes in the industry composition of startups over the last decade, but the overall trend is downward. Just before the 2001 recession, workers at new firms earned about 85 percent as much as workers at mature firms. By 2011, this earnings ratio had dropped to 70 percent. The earnings premium associated with working for a large employer versus a smaller employer also grew during this time period: Average real monthly earnings in small firms fell from a high of 78 percent in 2001 to a low of 66 percent in 2011. Churning rates are said to be “procyclical,” dropping during recessions as firms become cautious about hiring, and employees, with fewer jobs available, stay where they are. In both the 2001 and, especially, 2007-2009 recessions, worker turnover rates declined, but failed to recover to their previous peak after the recession ended. Churn rates for the youngest businesses recovered modestly after the most recent recession, but dropped slightly after first quarter 2011, perhaps reflecting eroding worker and business confidence, the study said. Having grown up in a family owned business, I have experienced a thing or two in common with many of my clients. Even when I was yet in middle school, I would be recruited to help out in the business, much to my own dismay at times when I would much rather be doing something (anything?) else. However, a little bit of pay went a long ways to making a young man very content. As I grew older, however, the conflict between what needed to be done in the business and what I wanted to do became greater. My goals, dreams, and ambitions had less and less to do with staying in town, working alongside my dad, and us building something together. As you can imagine, this difference of opinion caused a bit of a rift in our relationship. So it goes with many family businesses. Hold the opportunity with an open hand. 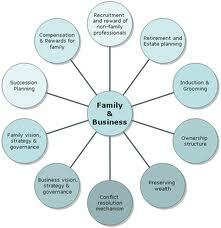 Instead of making up your mind that there is only one “right” scenario for family members to take part in your business, be flexible! Determine that, while you may have preferences, you will corral your opinions and keep them in check as you attempt to find a common ground. Communicate often, specifically, including listening. Far too often, a patriarch will squelch the input of a child, spouse, etc in the home–and at work–particularly if work and home blend as in the case of a family business. Rather than honing in on what the other person has to say, we can easily insist on getting our point across before seeking to understand the other person’s view. Ask open ended questions about what the family member enjoys doing, what role they see themselves in, and how those choices affect the business. Create an open dialogue-constantly. Distinguish between ownership and management. An heir may work in the business or out of it, but still function as an owner. Sometimes, it is best for all if it’s known to be a safe choice to be just an owner or just a manager, rather than both as the founder has been. Realizing that such options exist can diffuse tension, lead to productive conversations, and aid in succession planning. Quite often, outsiders are better successors to founders because they can be objective about the contribution family members make to the business. There are many other issues that, seen operating in a family business, look and feel different than their counterparts in other types of businesses. Everything from performance measurement to compensation, perks to preferences, psychology to sociology, and very much in between can be seen at work and become a spark for emotions. By far, family businesses are more emotional than others. Whatever your situation, think about tools that help create objective conversations about business issues so that you can lessen the impact of emotions in decisions that are being made. Your business and your family will be better off for it! Have you heard about the League of Intrapreneurs competition going on right now? Ashoka and Accenture are serious about helping companies “build better business from the inside out.” Early applications were due by October 24; final nominations and entries by January 15, 2013. The top 15 entrants from the competition will form the inaugural class of the League of Intrapreneurs, becoming part of an elite global network of changemakers. These entrants will also receive media and press recognition and will be featured in the publication of a globally distributed intrapreneur toolkit. Of this league, the top four winners will be profiled on Fast Company’s blog, Co.EXIST, and will receive consulting support from Accenture Development Partnerships to further their work. Intrapreneurship is a rising concept that tries to gather the natural objective of any organisation in the 21st century to be more innovative with the often non-tapped energy dug into any would-be entrepreneurs. Intrapreneurship create(s) a framework where the latter is granted some freedom to try out a project of his/her own, the benefit being shared with the employer in the case of a successful experimentation. The… conference, on December 13th, aims to cover this growing trend in corporations’ life, which addresses both the need of companies to produce more innovations and the will of talented people to find achievement opportunities. Experts and representatives of some of the most innovatives companies will share their view on why intrapreneurship is positively impacting their organisation and how they implement it. The conference is designed for human resources managers, chief strategy and chief operating officers, as well as everyone who is interested in the new growing management trends for change. Set up a formal structure for intrapreneurship. Give people enough time away from their “day jobs” to work on creative projects, but provide a formal process for new product development. Ask for ideas from your employees. They have their fingers on the pulse of the marketplace. Encourage them to contribute to the innovation dialogue. Assemble and unleash a diverse workforce. It’s no secret that diverse groups come up with more innovative ideas. Tap into this multifaceted source of power. Design a career path for your intrapreneurs. For the most part, intrapreneurs are mavericks who will quit — and take their best ideas with them — if they don’t see prospects for career advancement. Explore government incentives for innovation. Ask how these can support your intrapreneurial ventures. Governments all over the world are offering new tax breaks and other incentives for research and development (R&D) — and corporations in turn are urging governments to support innovation. Prepare for the pitfalls of intrapreneurship. Not all ideas will produce successful new products. Failure is an important part of the process. Medtronic had an internal “corporate catalyst” — someone who marshaled resources both inside and outside the company and built organizational support for the disruptive growth strategy. Medtronic mixed the entrepreneurial approach of a VC-backed start-up with the unique capabilities once housed in corporate labs. Its story illustrates how big companies are powerfully and uniquely suited to tackling large-scale social problems such as hunger, health care, sustainability, and education. These aren’t stand-alone corporate social responsibility efforts — they are strategic initiatives to create profitable businesses that improve the world. In many ways, Medtronic was applying the E&Y recommended best practices without even having read them. What is your company doing to foster a culture of innovation? Tomorrow, we will tackle the language of intrapreneurship!